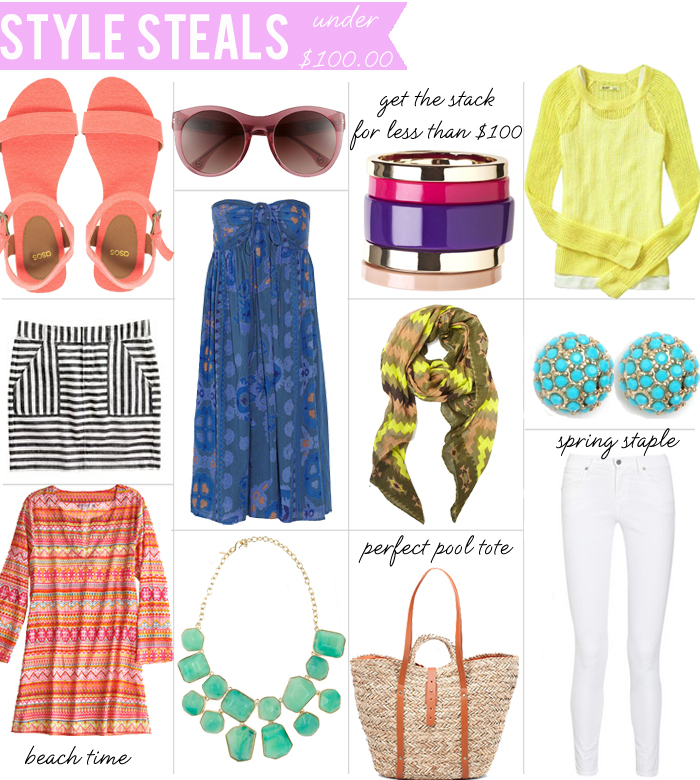 These are all amazing, but I want the sandals, skirt, bag and statement necklace the most! Love that Calypso cover up! And that bright ON sweater. Great picks! i love that tunic with that kjl necklace… you are soo good at these! Loving the striped skirt and earrings! The blue cheap designer dress looks simply superb. I would team that up with a blue colored drop and a small blue pendant. The right summer look! Love all the colors! Thanks so much for posting~ gotta say i LOVE that necklace! I was so lucky to come across these Michael Kors Gibson sunglasses at Ross for $20!! They're amazing.